The APCERT Annual General Meeting & Conference is the annual event of APCERT. Since its foundation in 2003, APCERT has organized 16 Annual General Meeting & Conference. As an important regional platform for regulatory and technical exchange on emergency response activities and other cyber-related issues among CERTs/CSIRTs, businesses, academics and research institutes, this event is playing significant role in helping shape a cyber-secure Asia Pacific region and contributing to the world cyber development. 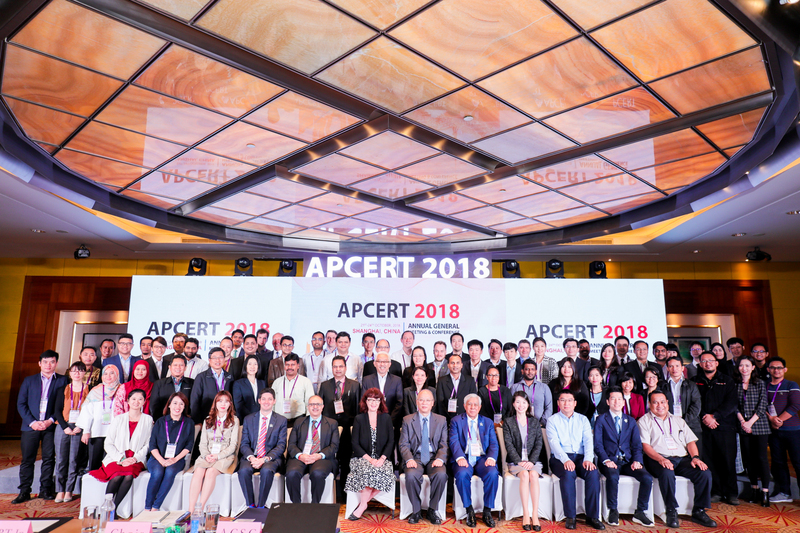 This year, the 17th APCERT Annual General Meeting & Conference was hosted by CNCERT|CC in Shanghai, China, from 21st to 24th October 2018. The theme for this year was “Strengthen information sharing for effective and cooperative emergency response”. MOCERT, as one of the Operational Member for APCERT, was honored to participate in this event once again to exchange views and share our idea/proposals with other APCERT members.